A wedding celebration barn dance with caller Barbara and Elaine Cullinane (violin), Patrick Revell (guitar) and Luke (drums) in the band. Enthusiastic dancing from the wedding guests made for a great evening. Customer feedback on our Facebook page…. Also on the 1st Mike, David and Matt were with Barbara in Alton for a birthday celebration barn dance for Shirley. 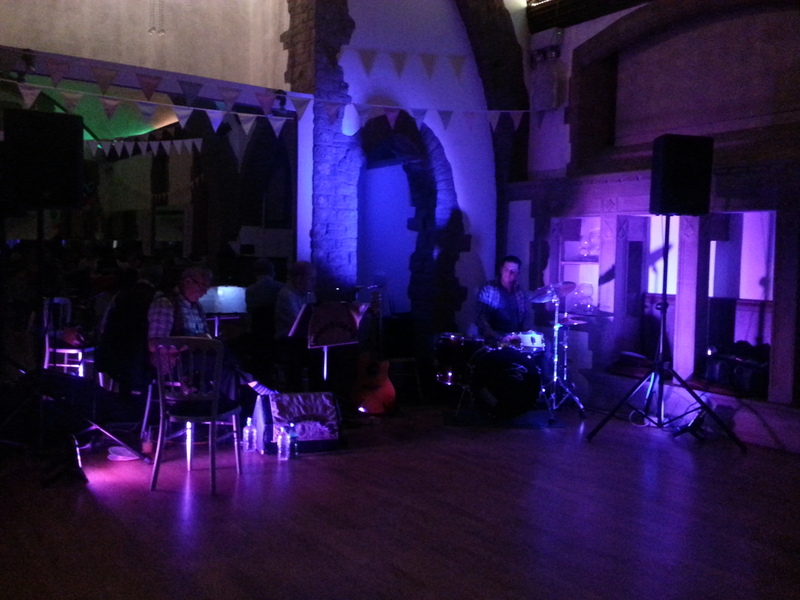 A great venue at the Bell House Dance Studio – a converted convent with great acoustic and dance floor. Customer feedback ………. Thanks for making Sarah’s party a great night, we all had a good time and loved the music and Barbara’s instruction. 10th anniversary celebration barn dance for the Multi Sports Club in Eastleigh. See their Facebook page.